Hai joined the Entomology team at AgBiome in October, 2016. He brings with him over a decade of experience in designing bioassays for various parasites from the animal health field, to the agriculture pest field. 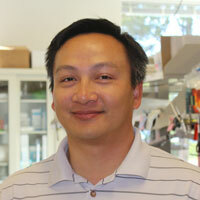 His passion is to design and develop simple and elegant bioassays from everyday lab supplies. He enjoys outdoor activities, especially backpacking, hiking and golf.